Dewsbury County Conservative Association has said a scheduled pig racing fundraiser will go ahead, just hours after the event appeared to have been cancelled on Facebook. The U-turn comes as a Twitter storm continues today over a Daily Mail story about Prime Minister David Cameron. Downing Street has declined to comment on the claims, which include details of an initiation ceremony during Mr Cameron’s Oxford student days involving a dead pig. The story has already been christened #piggate on the social media network. 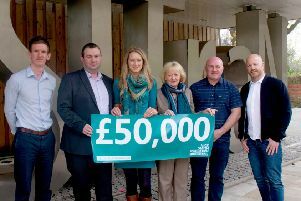 The association, which encompasses Dewsbury, Mirfield, Kirkburton and Denby Dale, was due to hold the event at the Pear Tree Inn on Huddersfield Road in Mirfield on October 14. But social media users noted that the fundraiser, which was advertised on the association’s Facebook page, appeared to have been cancelled this morning (Monday) with links to the relevant page no longer working. A piece on the association’s website about the event promises an “exciting and unpredictable” evening with pulled pork sandwiches on the evening’s menu.